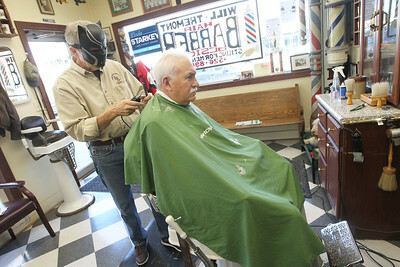 Candace H. Johnson-For Shaw Media Barber Will Tremont wears a Black Panther mask to honor the Black Panther movie as he gives a haircut to Nick Solideo, of Mundelein at Tremonte's Barbershop in downtown Wauconda. Candace H. Johnson-For Shaw Media Mayor Lincoln Knight holds a Black Panther mask in honor of the superhero film, which is based in the fictional nation of Wakanda, outside of the Wauconda Village Hall. Candace H. Johnson-For Shaw Media The Village of Wauconda's Facebook page honoring the Black Panther movie and the impact of Vibranium in Wauconda. 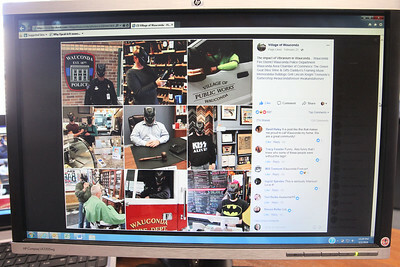 Different people from local businesses have been having fun getting their picture taken wearing the Black Panther mask. Candace H. Johnson-For Shaw Media Lindy's Landing Restaurant & Marina sign honors the Black Panther movie on Main Street in Wauconda.Lindy's sells Vibranium martinis, Vibranium shots and a Vibranium sundae at their restaurant. 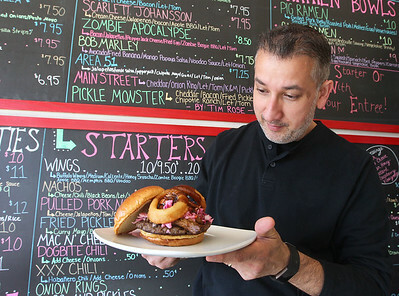 Candace H. Johnson-For Shaw Media Aaron Aggarwal, of McHenry, owner, holds a Killmonger, a half-pound blackened burger loaded with pulled pork, a royal onion ring, coleslaw and voodoo sauce they serve in honor of the movie, Black Panther, at the Bulldogs Grill on Main Street in Wauconda. 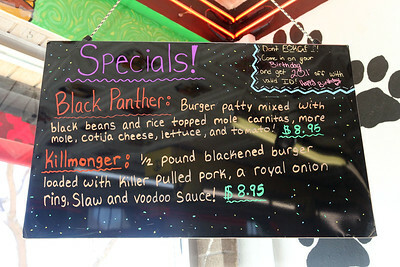 Candace H. Johnson-For Shaw Media A sign of hamburger specials honoring the superhero film, Black Panther, hangs from the wall in Bulldogs Grill on Main Street in Wauconda.The film references the fictional nation of Wakanda and the town of Wauconda and its businesses celebrate the recognition. Candace H. Johnson-For Shaw Media Mayor Lincoln Knight holds a Black Panther mask in honor of the superhero film, which is based in the fictional country of Wakanda, outside the Wauconda Village Hall. 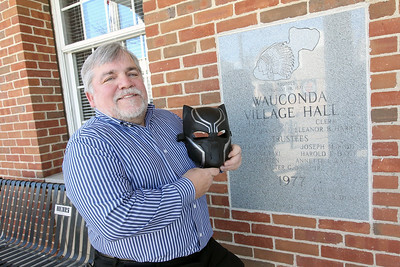 Candace H. Johnson-For Shaw Media Mayor Lincoln Knight holds a Black Panther movie mask near the water tower on Main Street in Wauconda.The superhero film references the fictional nation of Wakanda. 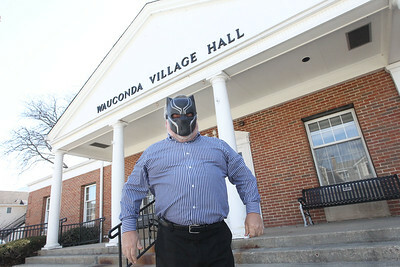 Candace H. Johnson-For Shaw Media Mayor Lincoln Knight wears a Black Panther movie mask to celebrate the superhero film, based in the fictional nation of Wakanda, outside the Wauconda Village Hall in downtown Wauconda. Candace H. Johnson-For Shaw Media Mayor Lincoln Knight has some fun wearing a Black Panther movie mask in honor of the superhero film, based in the fictional nation of Wakanda, as he sits outside of the Wauconda Village Hall. 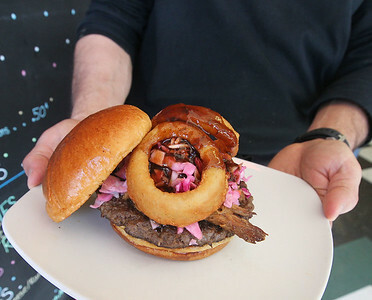 Candace H. Johnson-For Shaw Media Aaron Aggarwal, of McHenry, owner, holds a Killmonger, a half-pound blackened burger loaded with pulled pork, a royal onion ring, coleslaw and voodoo sauce created in honor of the Black Panther movie and served at Bulldogs Grill on Main Street in Wauconda. 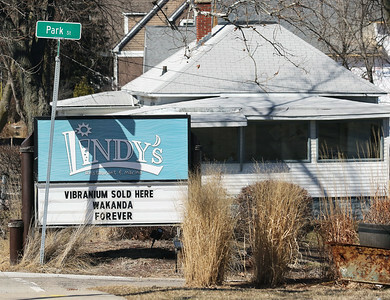 Lindy's Landing Restaurant & Marina sign honors the Black Panther movie on Main Street in Wauconda.Lindy's sells Vibranium martinis, Vibranium shots and a Vibranium sundae at their restaurant.